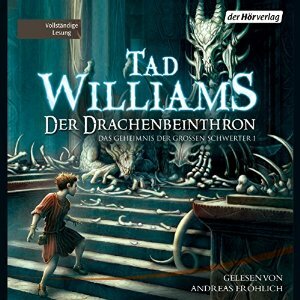 Deborah Beale, wife and business partner of Tad Williams, has revealed a few new details on Twitter about Williams’ progress writing The Witchwood Crown, the first novel in the sequel to Williams’ classic “Memory, Sorrow and Thorn” series, “The Last King of Osten Ard”. The Witchwood Crown will be followed by Empire of Grass and The Navigator’s Children. (The original tweets can be found here, here, here and here). During the writing of The Witchwood Crown, Williams has kept fans up to date regularly on page counts and some plot elements, including character lists and settings. The last update, in mid-December, mentioned that almost 800 pages had been written at that point, so about 200 to 300 pages have been written over the holidays. Williams is making rapid progress on the writing of the novel, which is expected to be published in Spring 2016.